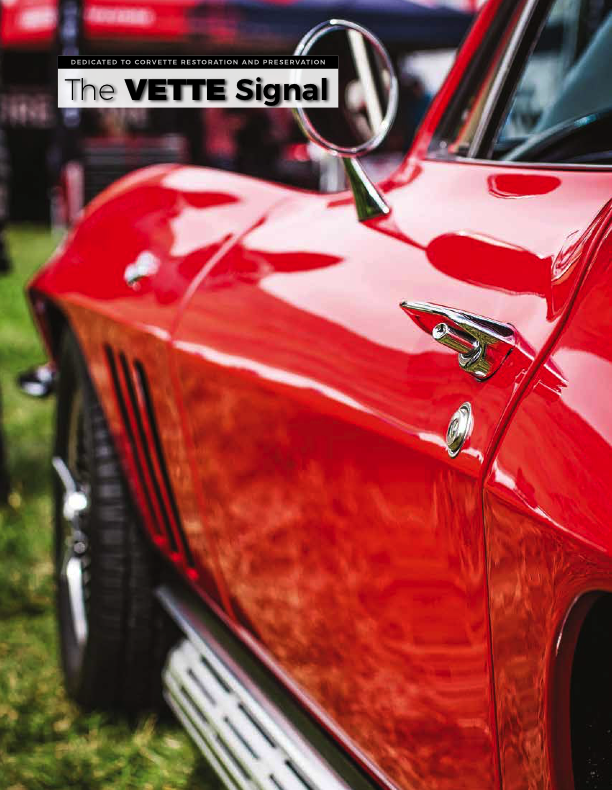 The Vette Signal is the chapters quarterly publication which you won't find on any newsstand. 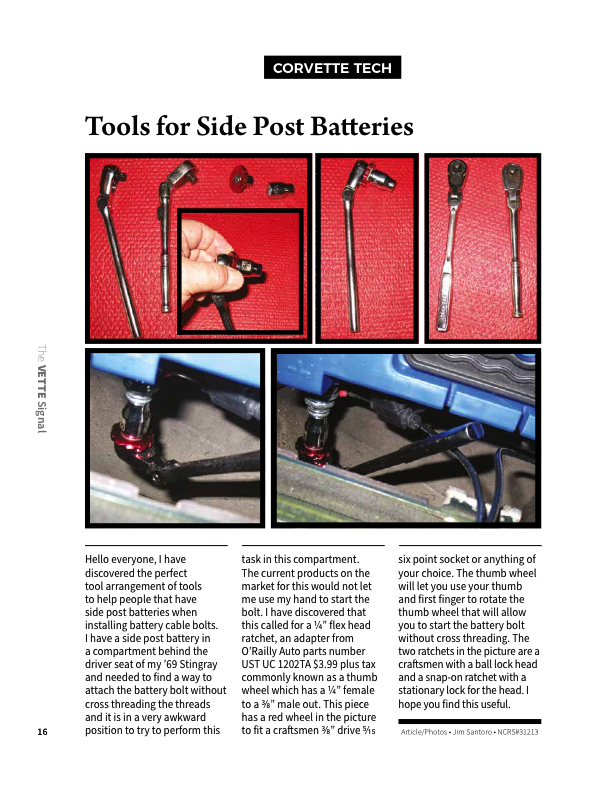 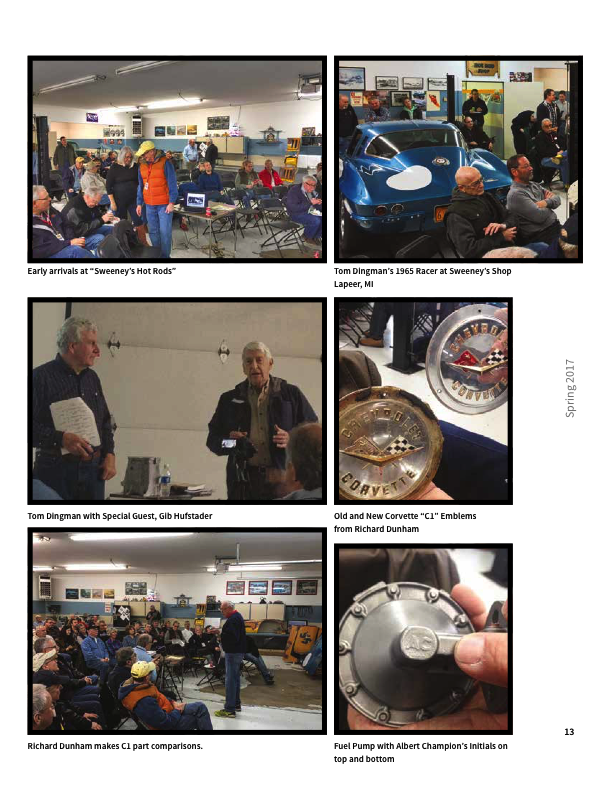 Published since the clubs inception in 1984 this has grown into a full scale magazine replete with comprehensive tech articles, event coverage and includes a "What's in your Garage?" 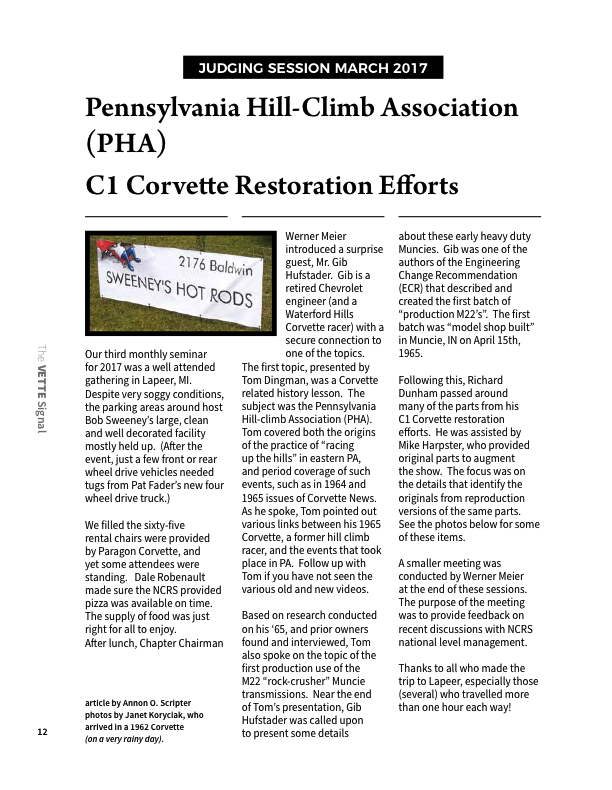 section showcasing member's restoration projects. 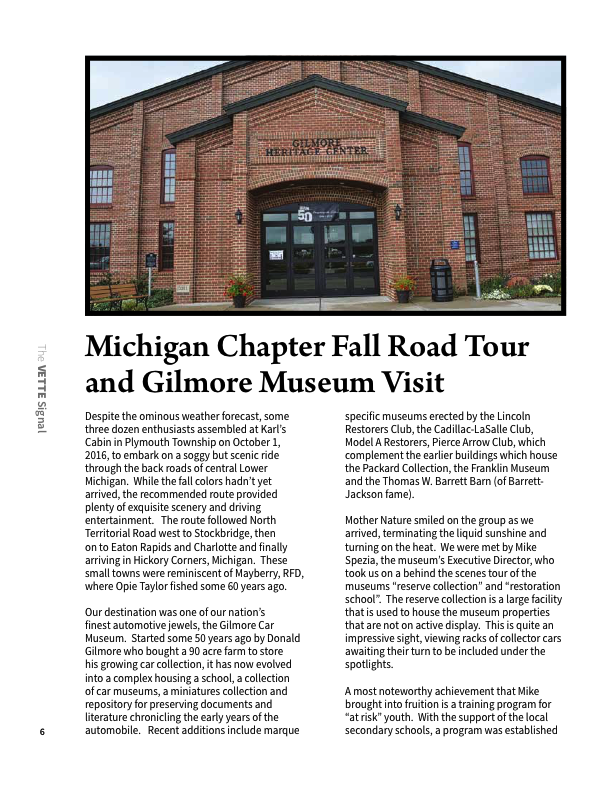 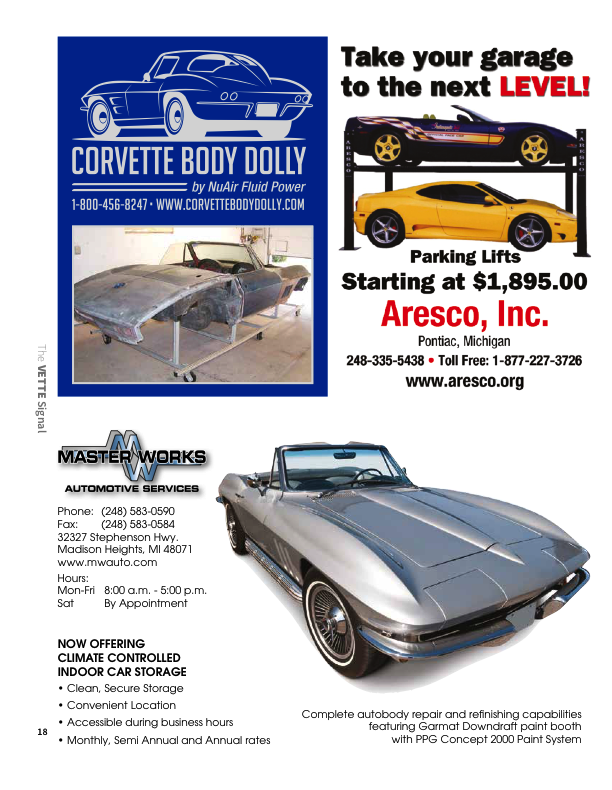 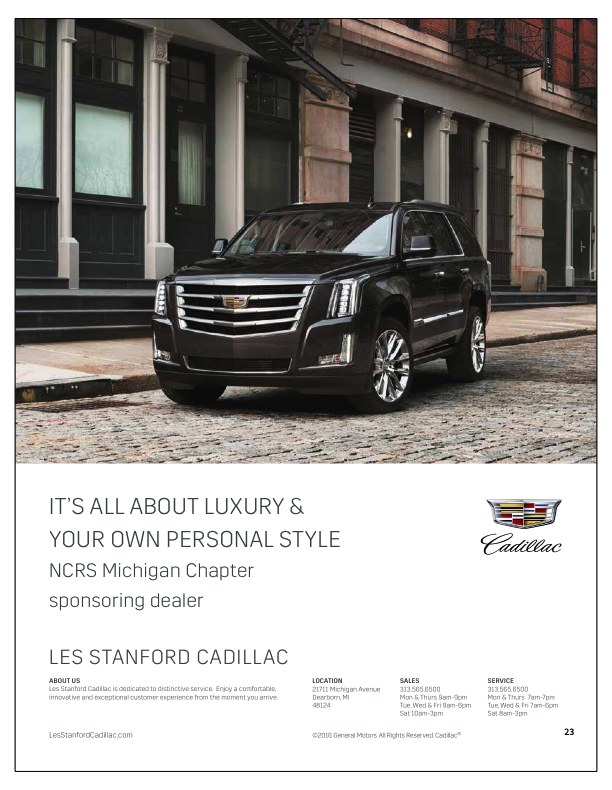 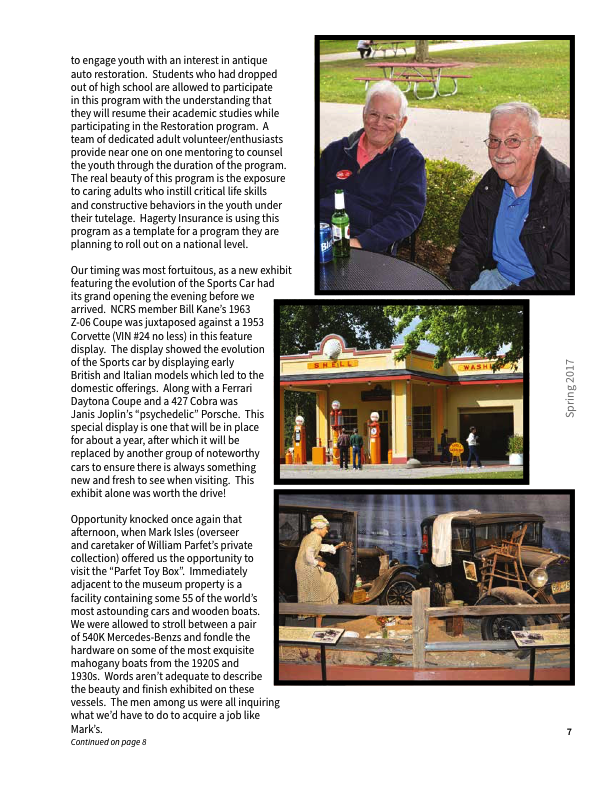 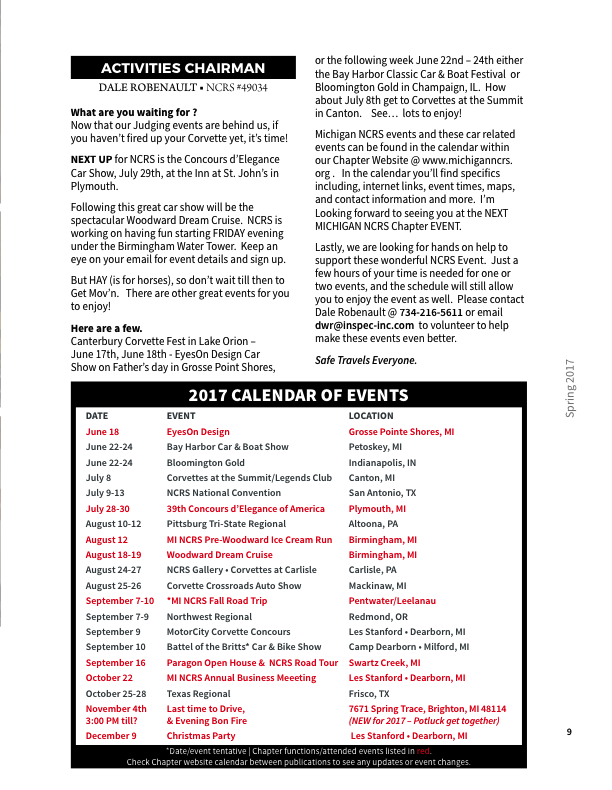 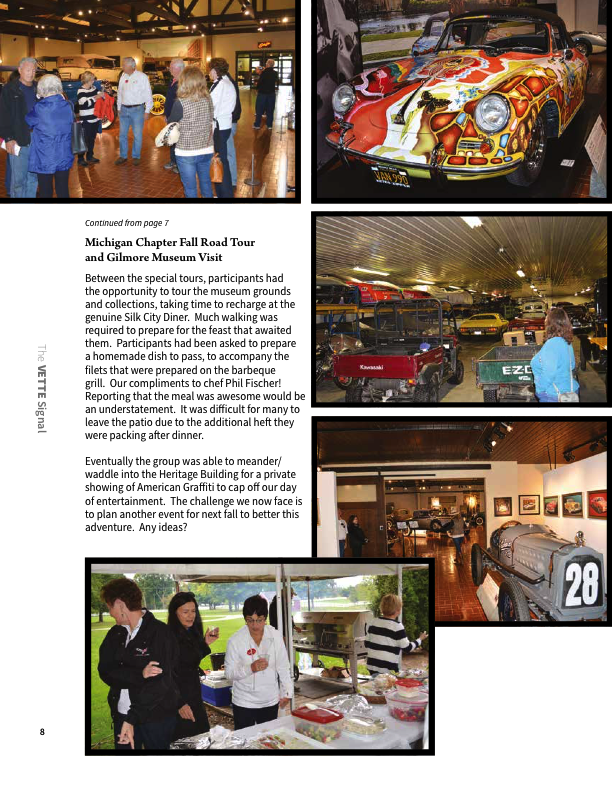 This magazine is published exclusively for Michigan Chapter NCRS members. 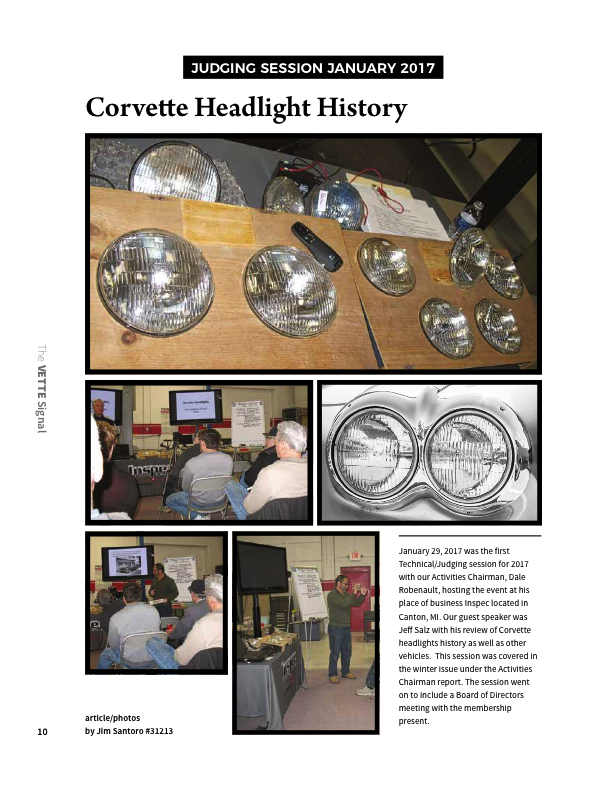 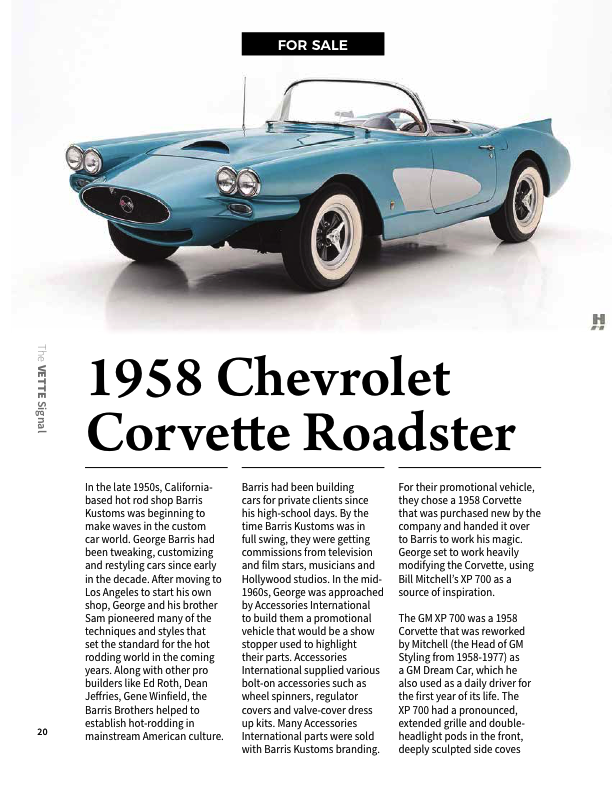 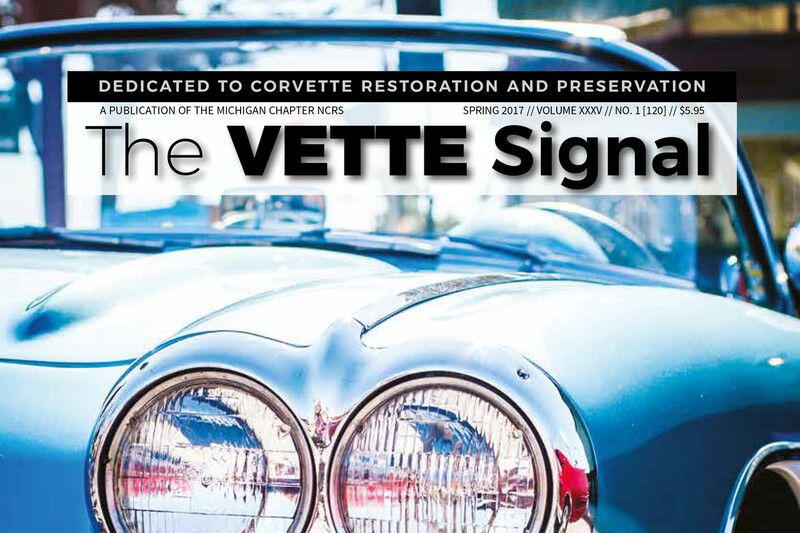 The Vette Signal is published quarterly by the Michigan Chapter of the National Corvette Restorer’s Society. 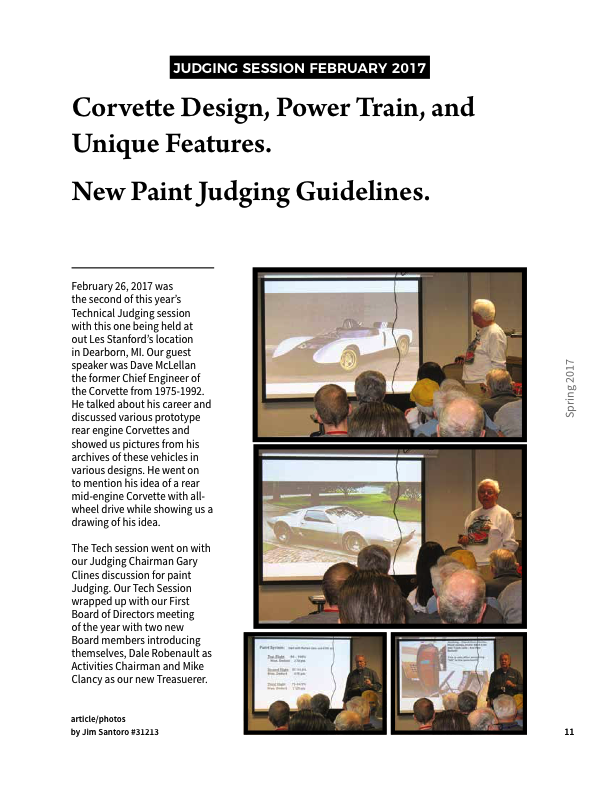 All copy contained in this publication may not be duplicated without permission of the Chapter and or its authors. 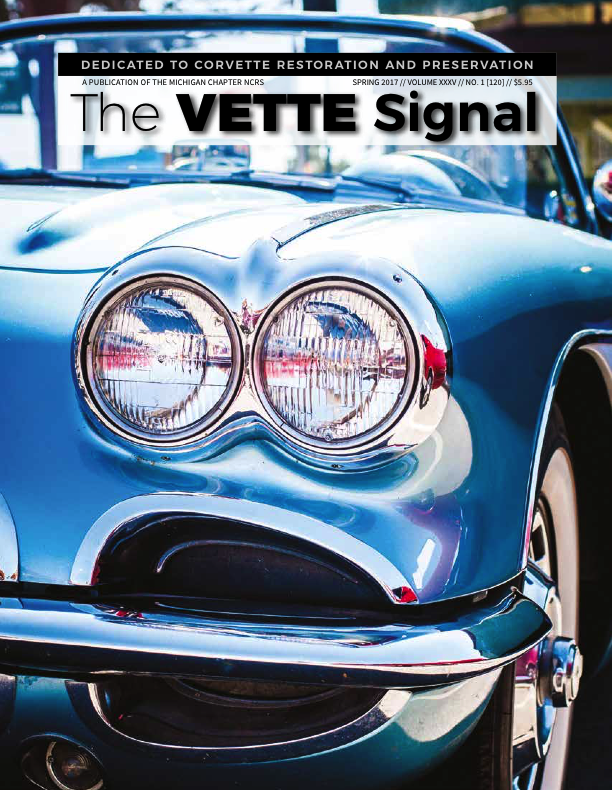 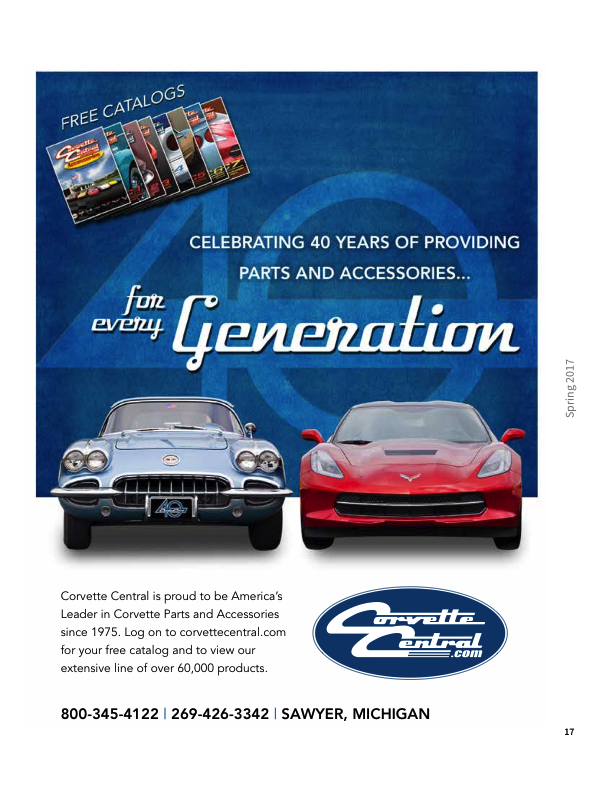 Please submit your advertising for publication in The VETTE SIGNAL. 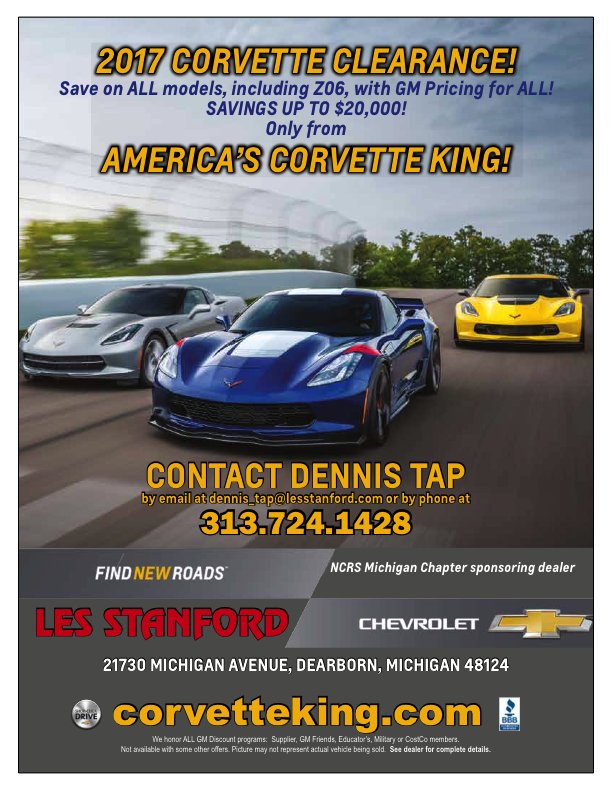 Yearly rates are based on a calendar year. 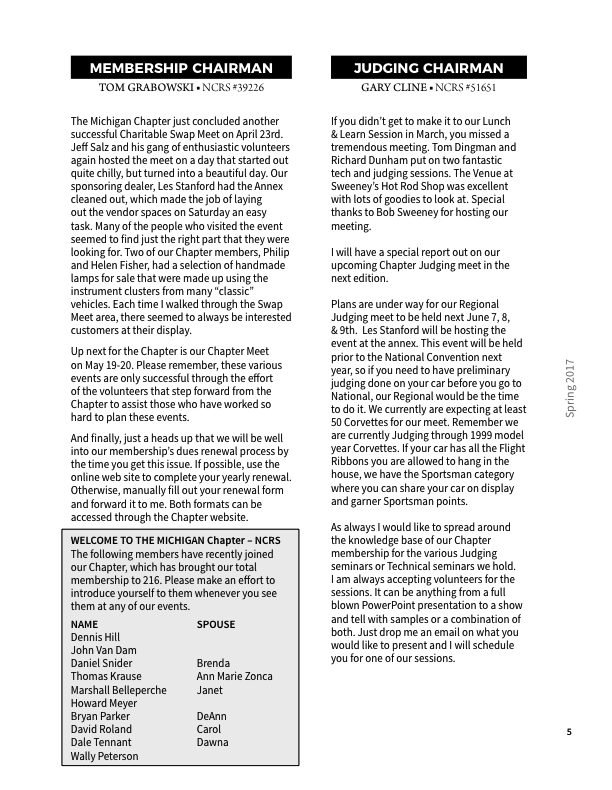 All funds are payable to Michigan Chapter, NCRS. 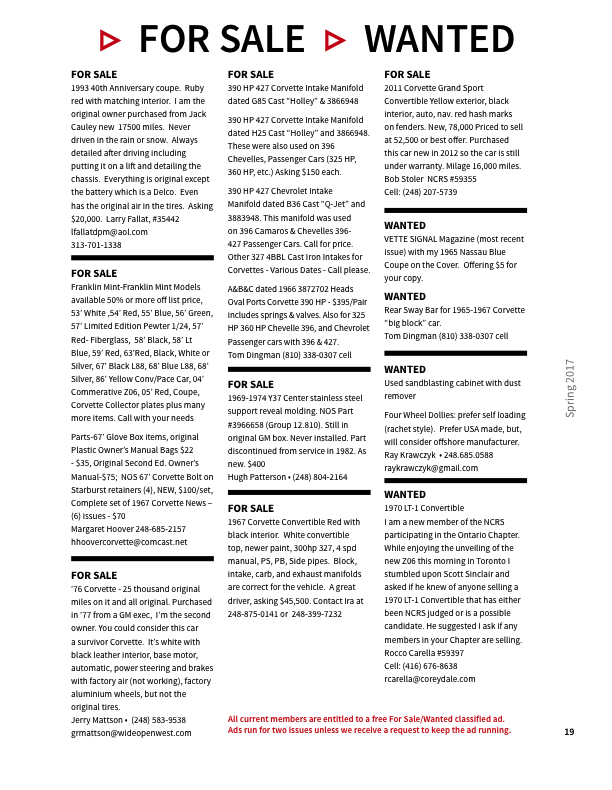 Terms are net 30 from the date of billing, and do not include additional artwork services. 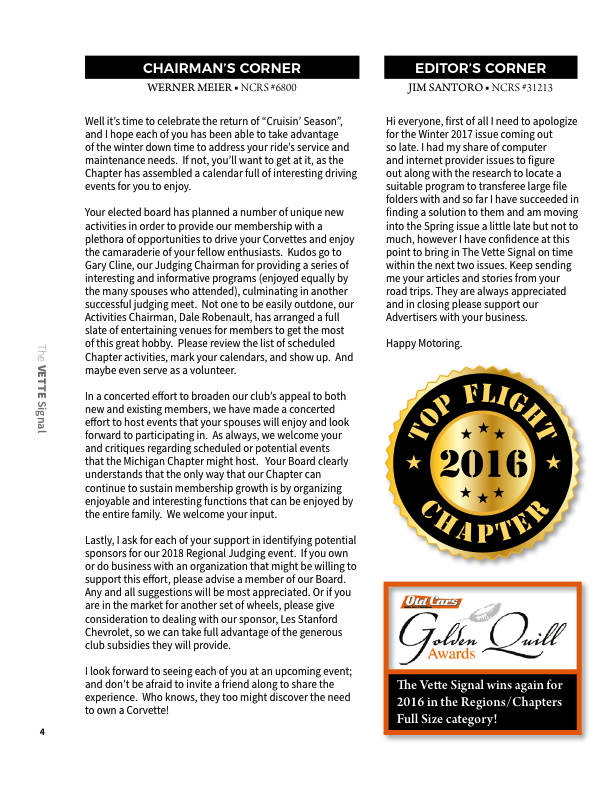 Submit your ads to the editor no later than 15 days before the first of the month of the issue your ad is to run in. 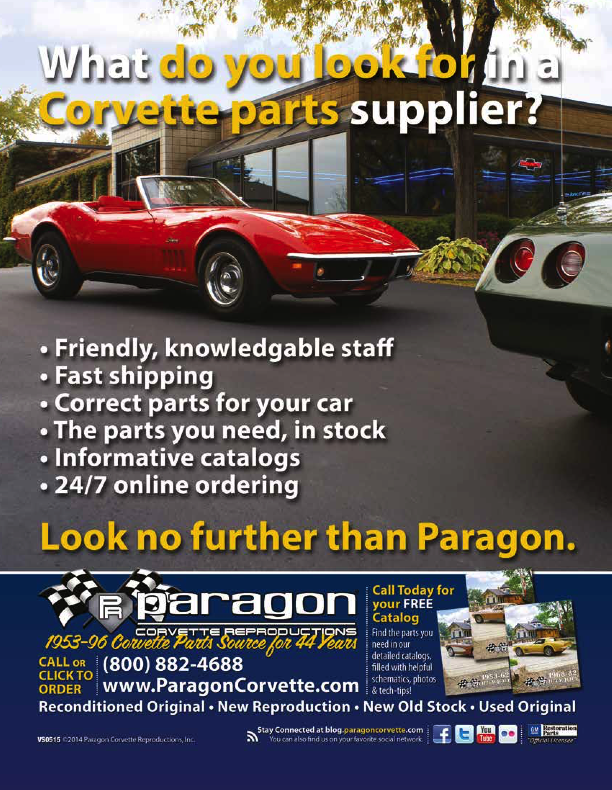 $600 year/$250 for one issue. 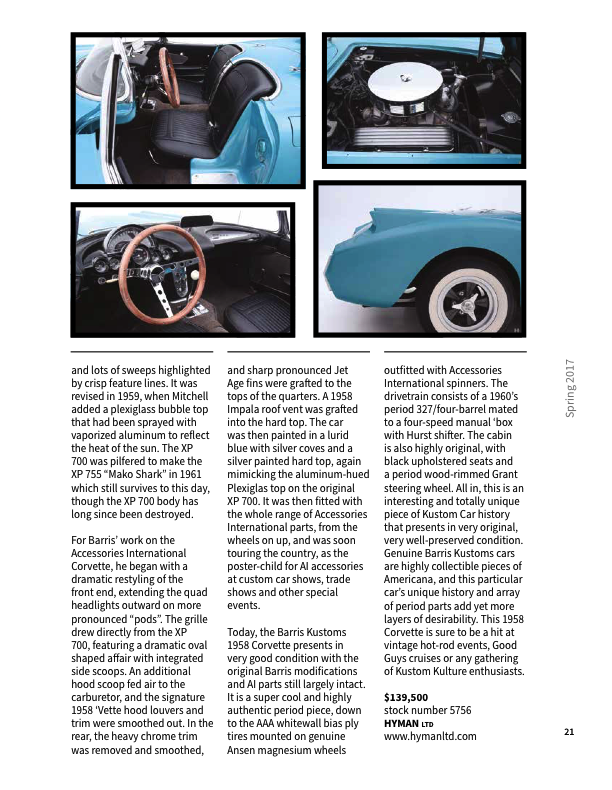 $350 year/$175 for one issue. 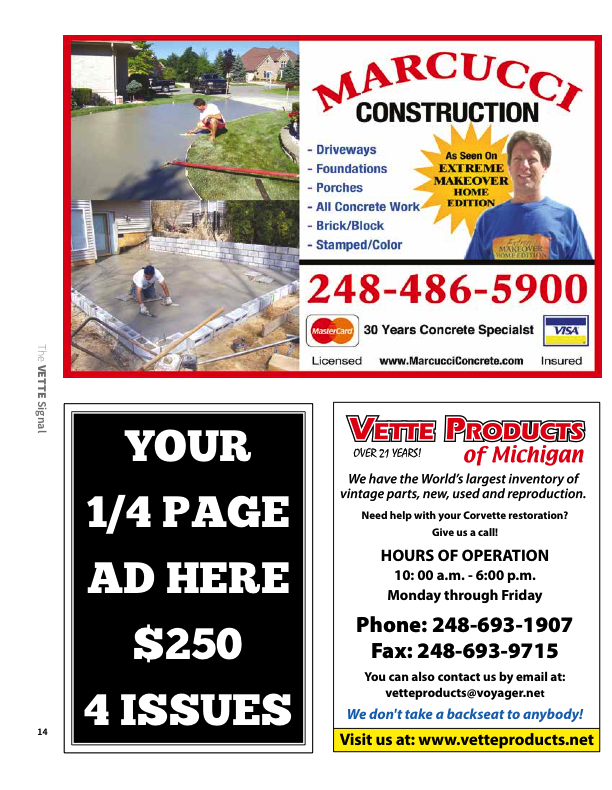 $250 year/$150 for one issue. 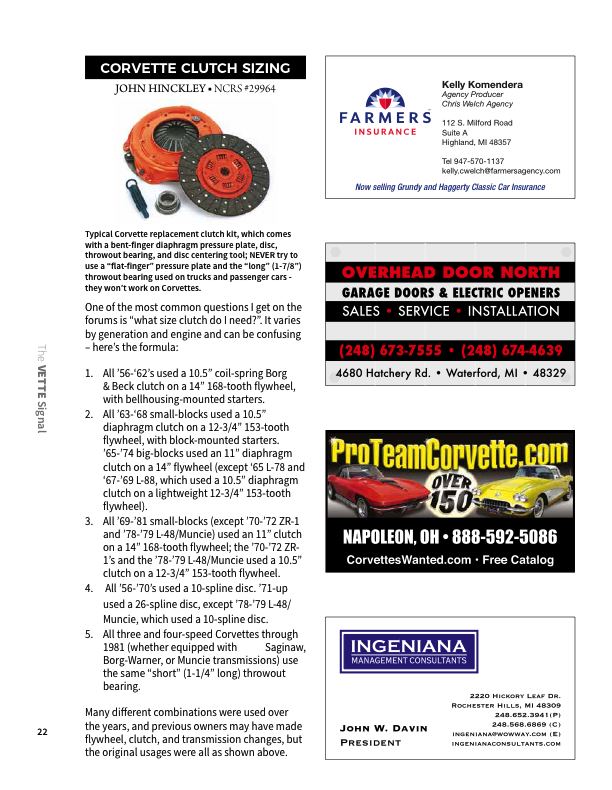 You can download our advertising rate sheet and file requirements by clicking the button below. 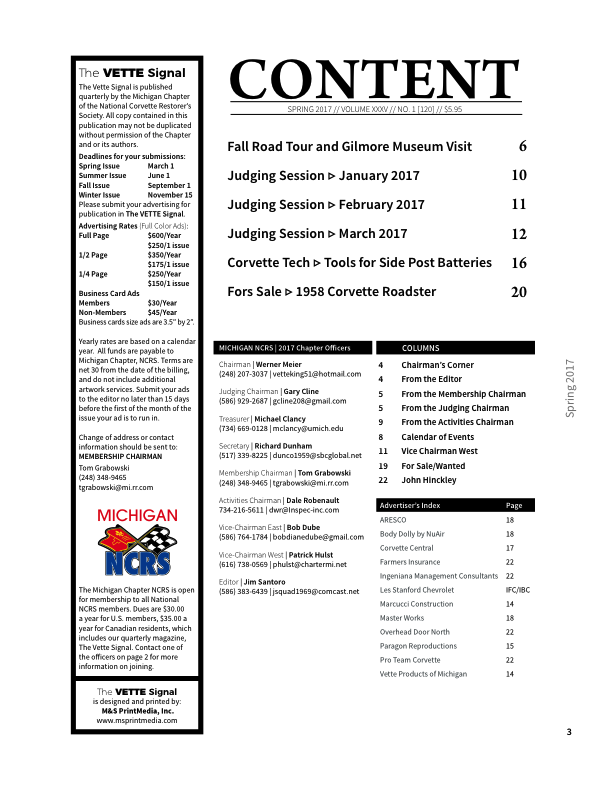 A sample copy of one of our previous issues is available to view below.